We are an amateur theatre group in Pinner, in the London Borough of Harrow, half an hour by tube from Baker Street. If you are interested in taking part in amateur drama, whether as an actor or helping back stage, please explore our site and contact us for further information. All newcomers are very welcome! If you have talent, we'll help you find it. Have a look at our past productions. If you would like to be added to our mailing list to receive flyers for our forthcoming productions, by post or by email, email us. A recent addition to our site: some Pinner Players programmes from the 1950's and 1960's. Our November production was The Night of the Iguana by Tennessee Williams. Our February production was Stepping Out, with all performances sold out. 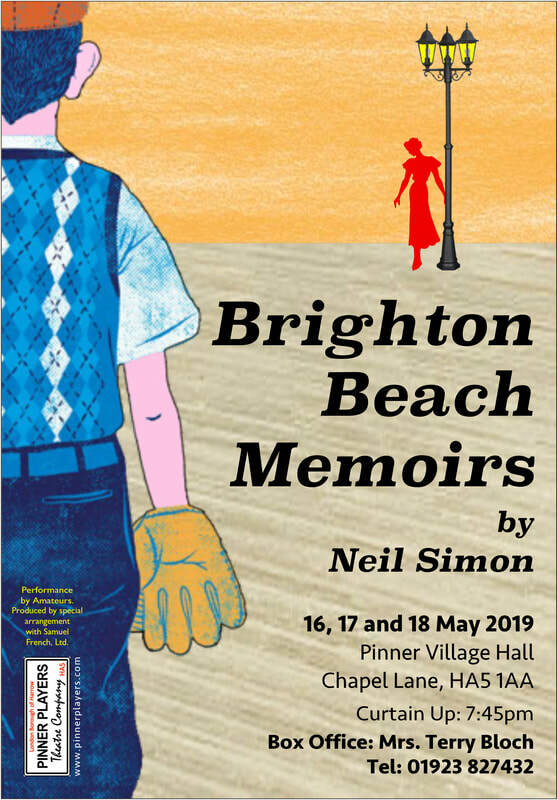 Our May 2019 production will be Brighton Beach Memoirs by Neil Simon.